Made with passion and care, Tasmania is producing award winning, world-class small batch, boutique whisky. 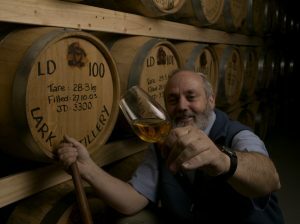 The Tasmanian whisky industry got its start in 1992 when a man by the name of Bill Lark began distilling whisky out of his home kitchen in the city of Hobart. Since then, the industry has flourished, with many other distilleries popping up around Tasmania. And surprisingly (because, let’s face it, how often do you hear about good whisky being made outside of Scotland or Japan? ), it’s actually very, very good. Tassie produces some world-class drams that have won numerous awards from esteemed award shows and magazines like Whisky Magazine and International Whisky Competition. These achievements obtained by Tasmanian brewers are even more impressive when you realise that Tasmanians only produce 0.01% of the world's whisky. Image thanks to Tourism Tasmania & Andrei Jewell. What Makes Tasmanian Whisky So Darn Good? Ever since the first brewers kicked off operations in the early 90's, the whisky scene in Tasmania has seen quite a boom. 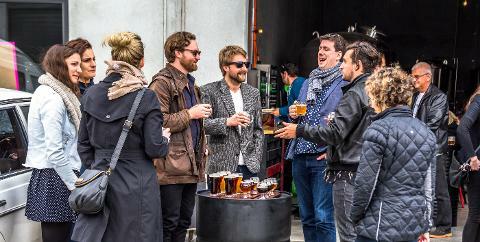 This is down to the international whisky community taking note of the achievements of the local brewers, particularly those in Hobart. All of the Tasmanian breweries produce malt whisky, with one exception--Belgrove--who produce small amounts of rye whisky. Tasmanian whisky didn’t become an overnight success; indeed, it took quite some time for it to be recognised as a world-class spirit by the connoisseurs across the globe. But when its day finally came to be named a premium-quality whisky producer, it came out on top. In 2014, longtime Tassie whisky wizard Patrick Maguire took home the honourable achievement of having produced what was named the world's best single malt whisky with his Sullivans Cove French Oak Cask. This was the only time a country outside of Scotland and Japan has won the award, making it a particularly notable feat. A bottle of his finest batch will set you back around $333, and you better be quick when it becomes available, as this particular batch has been known to fly off the shelves in under 10 minutes. 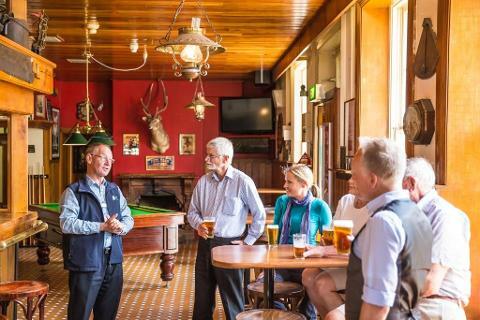 Image thanks to Tourism Tasmania & Ian Jeanneret. The secret to Tasmanian whisky’s success is down to local farming, say whisky experts. Locally sourced barley, a special malting process, and a deluge of fresh, clean water have all helped revolutionise the whisky industry in the region. In 2014, Lark whisky from Tasmania won the International Whisky Competition with the best new world whisky. 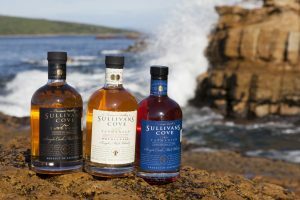 Coupled with the success of Sullivans Cove French Oak Cask best single malt of 2014, it really was the year of Tasmanian whisky, and set the industry up in the international community as a force to be reckoned with. This news also revived hope to many of the smaller distilleries around the world that the whisky market needn’t be dominated by the Scots and Japanese. Image thanks to Osborne Images. Judges described the French Oak Cask entry as "light, peppery and intriguing", "a match made in heaven with a smooth buttery feel" and "keeping it simple in a very good way". 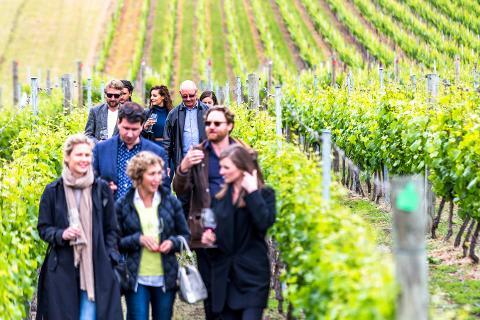 Where at one time, there was just a small network of only 3 distilleries in Tasmania, now there are 22, and that number is expected to double within the next 5 years. More distilleries learning and applying their trade from their more experienced neighbours are likely to bring more notoriety and awards as time goes on. The future of Tasmanian whisky certainly does look bright. It wasn't always easy for these brewers to establish themselves in Australia and the world as famous brands, considering that distilling alcohol was once illegal on the island. The industry was brought to a standstill in 1838 by Lady Jane Franklin, who famously said “I would prefer barley be fed to pigs than it be used to turn men into swine.” Her husband, Governor John Franklin, took note, and put a halt to whisky making. It wasn’t until 1991 that the spirit shackles were removed and whisky brewers were permitted to pick up where they left off. The most famous Tasmanian whisky is the aforementioned Patrick Maguire’s Sullivans Cove French Oak Cask. But he is not the only one churning out exceptionally tasty whisky. The William McHenry Distillery, located on Mt. Arthur, is home to a good share of fine Tasmanian whiskies as well. The McHenry single malt is their most popular bottle, at 44%6ABV (aged 4 years in American Oak and is finished for 1 year in French oak blood tub). Next we have the godfather of Australian whisky himself: Bill Lark. Lark’s Distillery was established in 1992, and has been making waves in the Australian whisky market ever since. It all started when Bill was on a fishing trip with his father-in-law. They were sipping a fine single malt that his father-in-law had brought along with him, when they noticed the beautiful fields of barley surrounding them while on the Clyde River when Bill remarked, “I wonder why there isn’t anyone making malt whisky in Tasmania?” That day, the seed for Lark’s future whisky industry takeover was planted. Lark distillery whisky is hard to come by these days, being brewed in small batches that are heavy in demand. Image thanks to Tourism Tasmania & Nick Osborne. The Belgrove Distillery was the first to produce rye whisky in Tas. The company grows its own ryecorn, to produce the freshest and cleanest form of rye whisky available. The distillery runs mainly on biofuel sourced from a local farm next door, which is used for cooking oil, as well as to power tractors, forklift and trucks in a form known as biodiesel.This makes Belgrove an environmentally friendly operation, and almost 100% sustainable. Having an extremely green policy, this sort of farming is lowering the industry’s carbon footprint drastically and could be the way forward for more distilleries to follow suit in the future. Image thanks to Samuel Shelley. 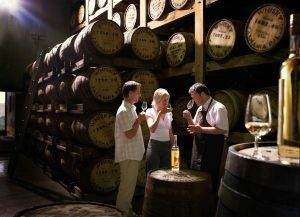 There are plenty of tour companies that offer the whole package when it comes to whisky tours in Tasmania. Tours normally offer tea and coffee upon arrival, with the added lure of a breakfast whisky for those enthusiasts wanting to delve straight in. 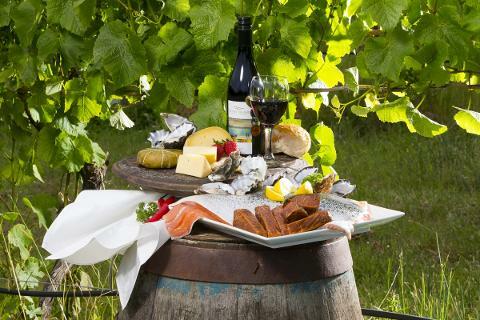 A fresh traditional Tasmanian lunch is provided with most tours. Image thanks to Samuel Shelley. Most tours can be found in the south of Tas, where the majority of the region’s touring distilleries are based. 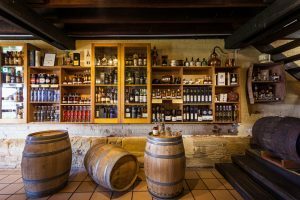 Visitors will travel around in a air-conditioned van, and have the chance to sample more than 12 different types of whiskies throughout the day. 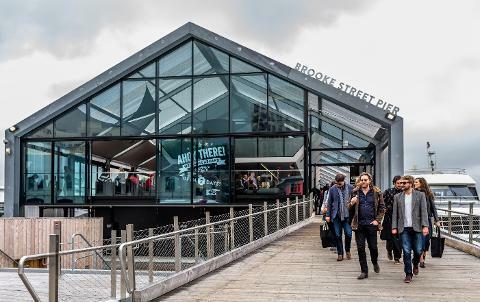 Most tours set out from Brooke St. Pier in Hobart. In addition, most high-end bars stock local Tassie whisky, so be sure to ask your friendly local barman for a glass of Tassie’s finest. 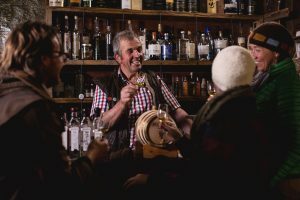 Tasmania churns out more than just world-class whiskys: the region is also famous for its gin and vodkas, among other spirits. 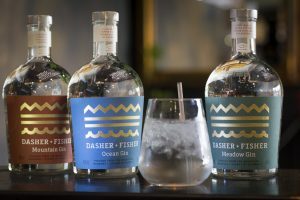 The once-upon-a-time poor man’s beverage has undergone a makeover in Tasmania, and is now a drink for the more affluent with its wide array of flavourings and bottle types. Image thanks to Rob Burnett. The Lark Distillery produces Forty Spotted - Rare Tasmanian Gin, made using pepperberry, lending the gin a unique flavour of aromatic and spicy flavours. The Retiring Gin is one of Tasmania’s more sought-after brands, known for being one of the smoothest unfiltered gins on the market. The company offers 12 different infused botanicals, separated into 4 batches. The southernmost distillery in the world, McHenry, may be known for its whisky, but the company also produces a high-end pure distilled vodka. Being light and easy on the taste buds, while still giving tasters that slight burn on the back of their throats, with a slightly nutty tone alongside a hint of vanilla, sets this vodka apart from its more bland competitors. Sullivans Cove French Oak Cask Whisky was named the world's best single malt whisky in 2014.